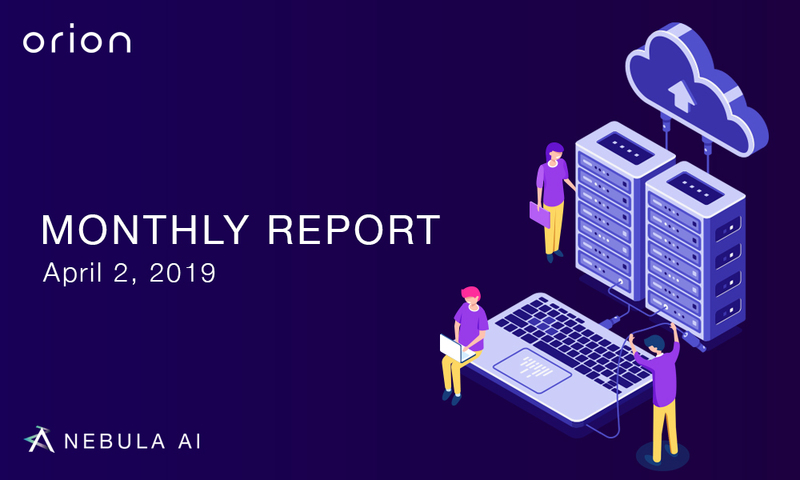 Release of the AI Worker 2.0.1 which enables you to switch between mining NBAI and performing AI computing task. A new Ledger has been released. Phase 1 of Cygnus Storage solution testing is complete and phase 2 is in progress. 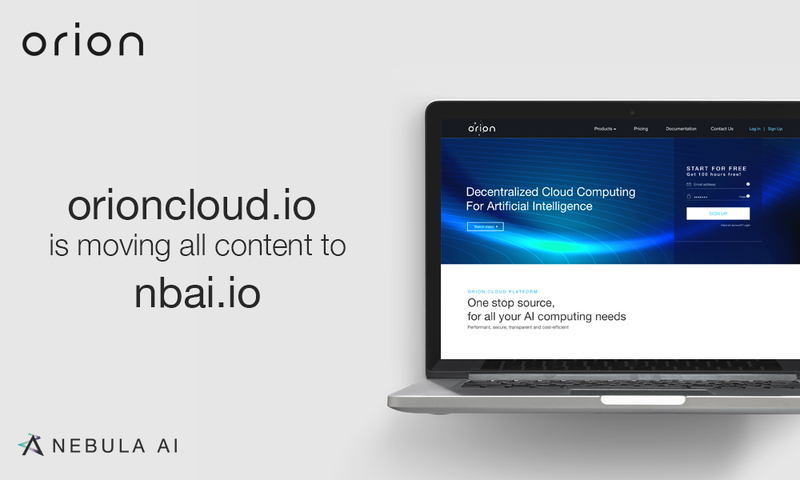 We have migrated all content of the OrionCloud website to nbai.io. 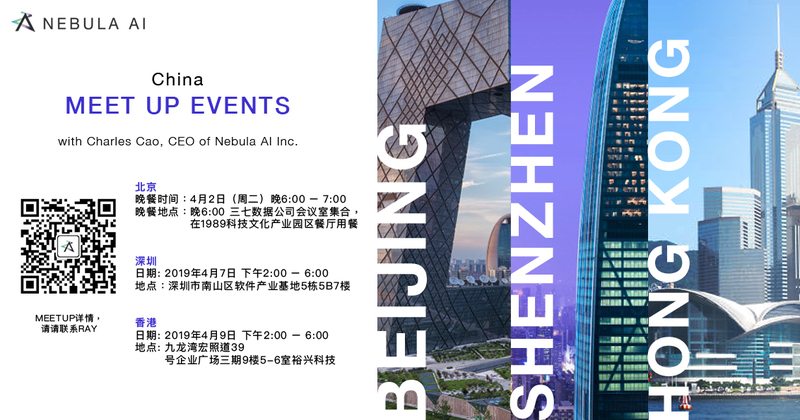 Charles Cao, CEO of Nebula AI, will be in China during the first half of April. During his trip he will be hosting 3 meet ups events around China. During the meet up events, we will be distributing mainnet NBAI to attendees. You can find more information on these events on our official WeChat group. 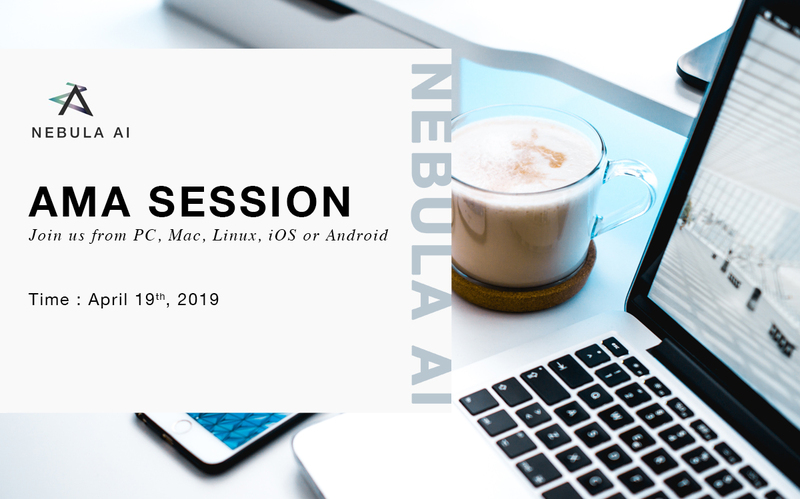 For more details regarding the meet up, please contact Ray, Nebula AI’s CTO via our WeChat. In April, we will welcome 3 students from Concordia University to join the Nebula AI team to help improve and test the Orion platform. In addition, we will have MBA students from both Concordia University and McGill University joining us for business and sales purposes. With Phase 2 of Cygnus Storage solution in progress. We estimate to have individual log in on to the Cygnus storage open on April 20. On April 15, we will have a Business and Sales department established, it will be lead by Charles Cao and with individuals with over 5 years experience in the field. We are proud to announce we have a schedule for monthly reports and AMA sessions. AMAs every third Friday of the month.